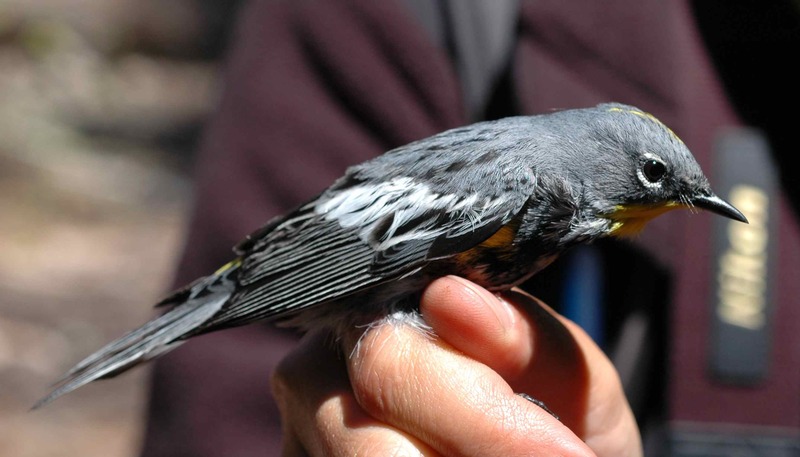 It’s hard not to like avian bycatch, though. 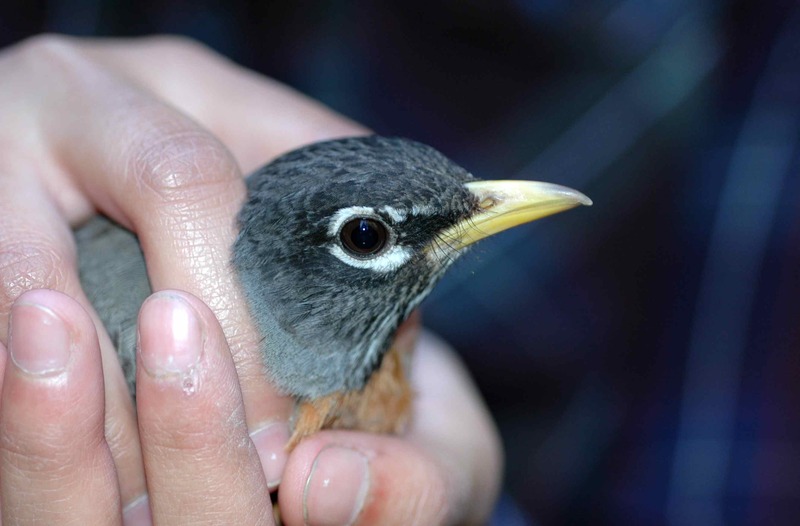 We extract them from nets and simply release them—I don’t have a permit to do anything with any species besides juncos—but still it’s fun to handle other bird species, and to see them up close. 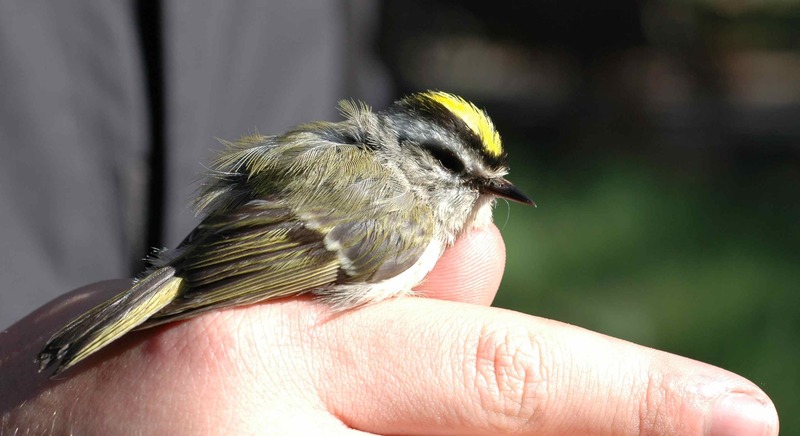 Last week we caught two male American Robins, three Yellow-rumped Warblers, and one male Golden-crowned Kinglet. 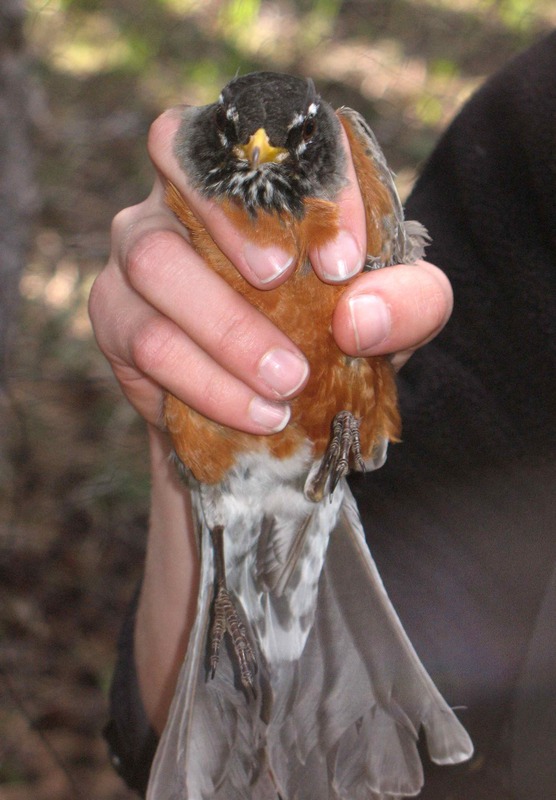 Robins are much bigger than you expect. Angry, too. 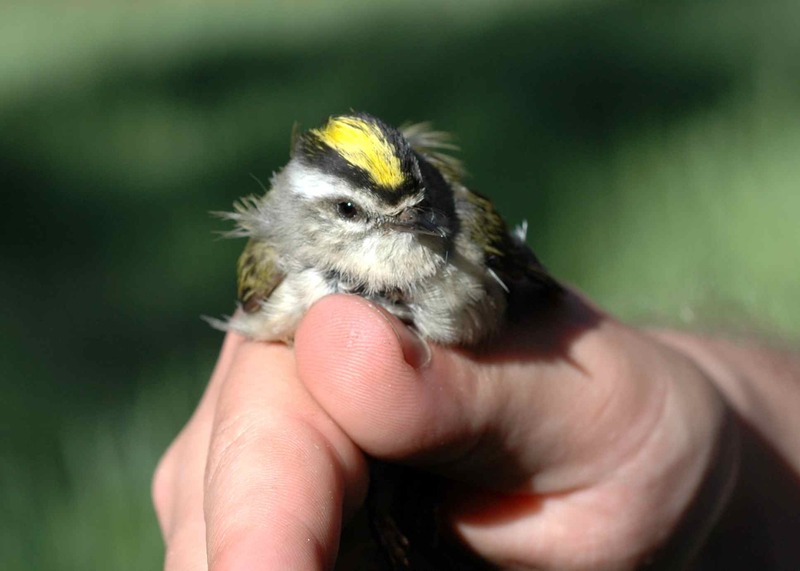 The Golden-crowned Kinglet’s mate hopped all around in the trees nearby, calling for him, while we extracted him from the net. We let him go quickly so he could find her again. 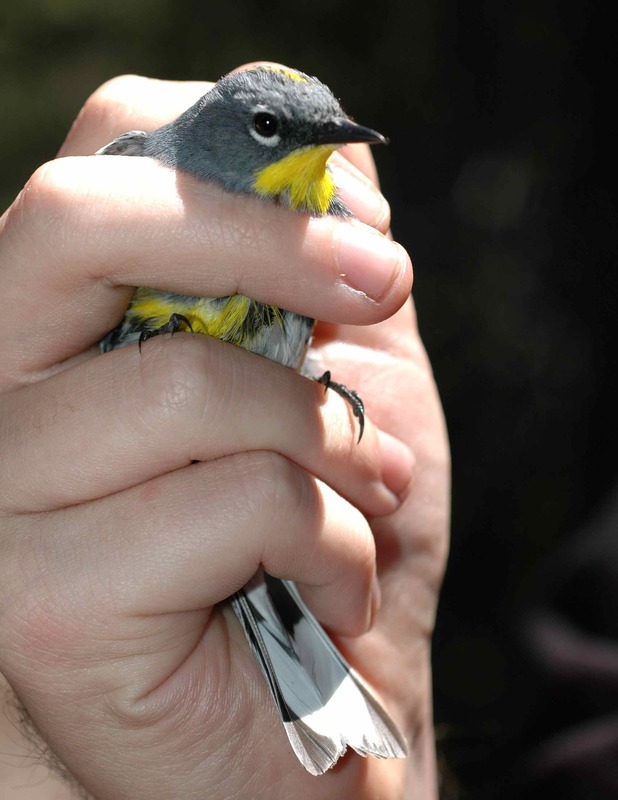 This entry was posted in bycatch, field work and tagged American Robin, birds, bycatch, field work, Golden-crowned Kinglet, Yellow-rumped Warbler by toughlittlebirds. Bookmark the permalink. I’m surprised the nets are fine enough to catch bees!